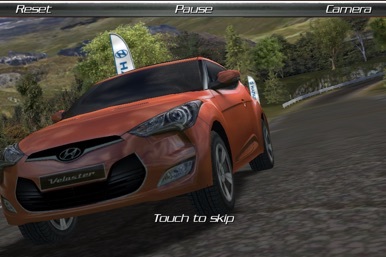 Take a virtual spin in the Hyundai Veloster Racing Game. 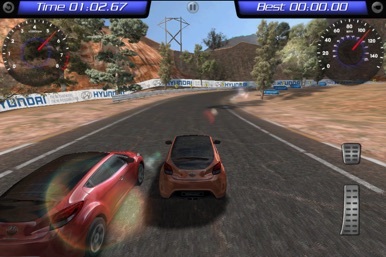 The Veloster HD App is a fun-filled racing game that features the Veloster. We wanted to create an app to capture its innovative style and design, and also allow customers to test drive and interact with it from anywhere in the world. Whether you are a customer, a fan, or a curious gamer, we hope you download and enjoy. 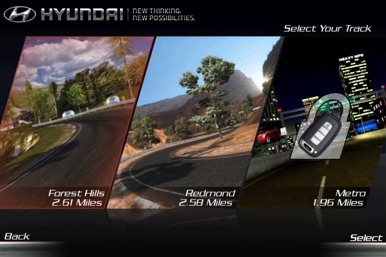 With brilliant graphics, realistic 3D physics engine, multiple tracks, and an unlockable Genesis Coupe, push your iPhone, iPad, or iPod touch to the limits. 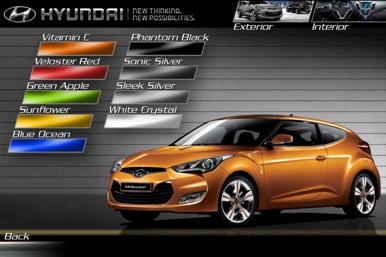 For maximum clarity and quality, the Veloster HD supports the Retina Display. You can also hook up to an external monitor via HDMI, component, or composite cables. Multiplayer support is also included via WiFi or Bluetooth connections. Hyundai | New Thinking. New Possibilities.